Earlier this month, Nexon Korea announced to the English media about its latest mobile action RPG, Project Dynasty Warriors (working title). 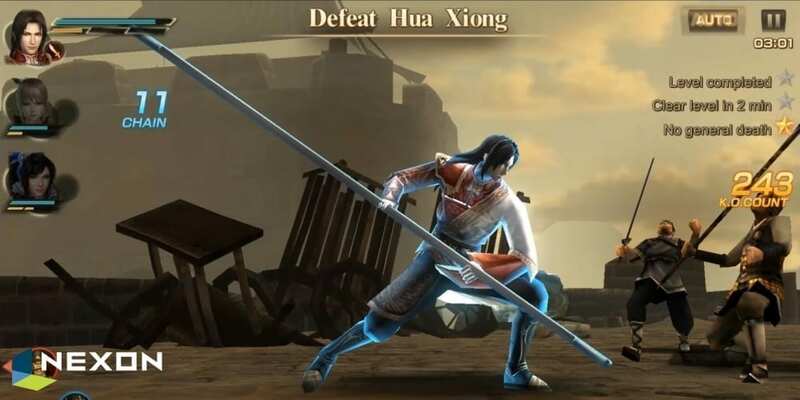 Developed by Taiwanese studio XPEC Entertainment based on the Dynasty Warriors series from KOEI TECMO, the debut trailer gave a huge preview of what the game will eventually look like. 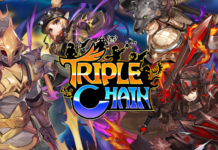 Here is a brief interview with Nexon Korea about the game! Q: How did the partnership with Taiwanese developer XPEC Entertainment came about? Based on the excellent development capability of XPEC Entertainment and the publishing capability of Nexon Korea, both XPEC Entertainment and Nexon Korea have a common goal to show a console-quality action game in the global mobile gaming market. XPEC was already doing a good job developing the game (Project Dynasty Warriors) at that time as well. Q: Nexon is well-known for its self-developed games. Was there a reason Nexon did not go this route for the Dynasty Warriors IP? The development capability of Nexon is indeed solid enough to service masterpiece IPs in the global market. However, when we saw the early version of Project Dynasty Warriors, the quality of the game was remarkable, hence the joint project was conducted with confidence around the development capabilities of XPEC Entertainment. Q: Project Dynasty Warriors is currently a working title. Is there a reason to reveal the game before confirming one the actual game name? The “Dynasty Warriors” IP is used variously over a lot of different platforms. 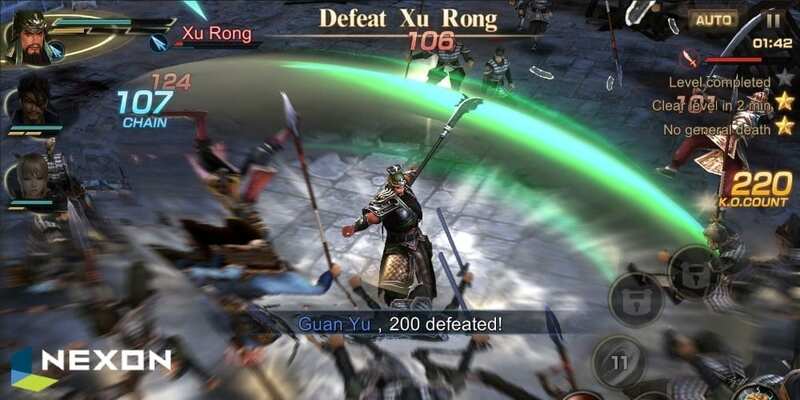 We wanted to quickly show off to global users that Project Dynasty Warriors has succeeded in reviving the original “Dynasty Warriors” IP on the mobile platform. Game branding work is in progress based on mobile-optimization as the game is being developed. 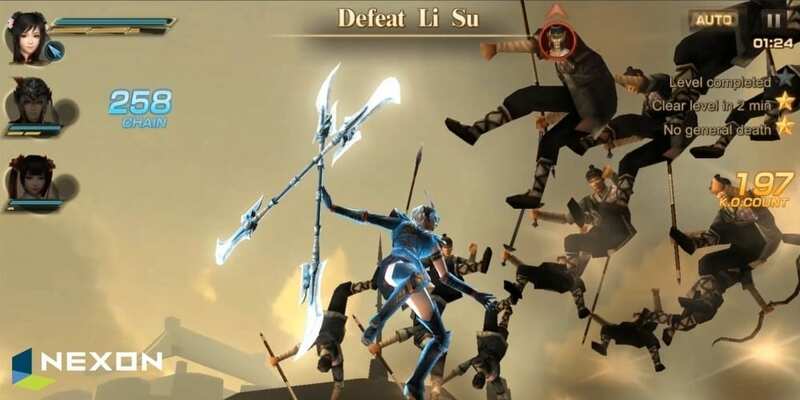 Q: It seems that action combat RPG is the hottest genre for mobile games now. How is Project Dynasty Warriors different? 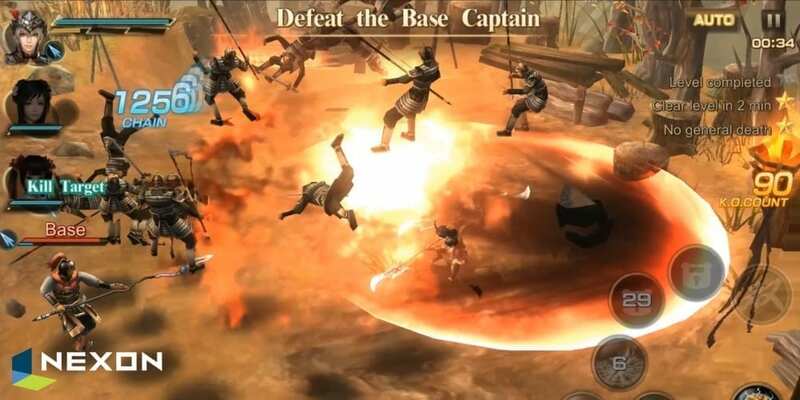 Project Dynasty Warriors can provide the best “hack and slash” action quality among mobile games of the similar genre. Users can collect various generals from the “Three Kingdoms” story and use those generals to unite the whole kingdom with their guild members, one of the unique features of the game. Global users can also enjoy real-time PVP mode. Q: How similar is Project Dynasty Warriors to the console series? And what unique features will set the mobile version apart? We mobile-optimized the view and hit-feel of “Dynasty Warriors 8” while keeping the graphics and action quality of the console. Systems to collect and promote generals are based on the mobile platform practices. 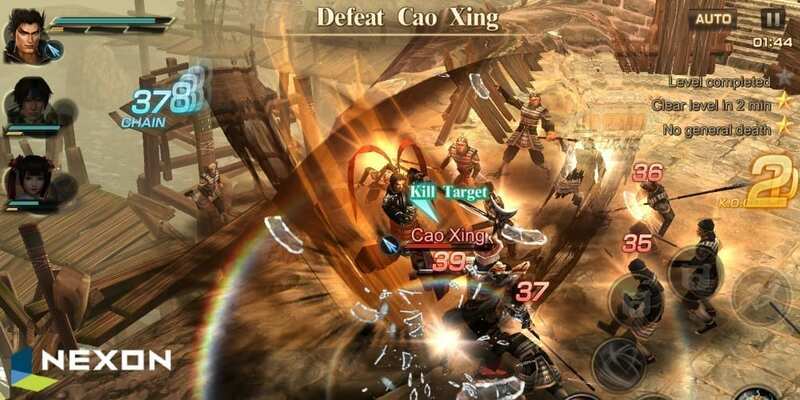 We also focused on emphasizing user-interaction which is the strong point of Project Dynasty Warriors. Q: From the debut trailer, we could see several features, including PVE, switching between three characters, and also PVP. 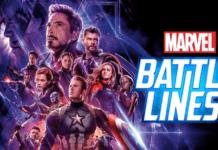 What other features can player expect at launch? Co-op raids perhaps? 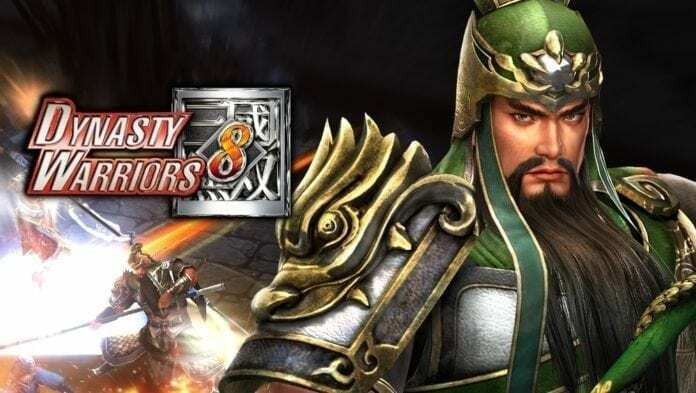 We are not able to showcase or discuss about the other features, but be assured that we are designing and developing Project Dynasty Warriors to take advantage of the mobile platform. Emphasizing the user-interaction part is the key point of our project. Q: Are players able to customize their generals? We are considering for users to customize their generals only on the basic level. Mobile-optimized customizing is still in discussion, hence we are not able to confirm any details yet. Q: The generals’ voices are in Japanese! Will this stay on for the official launch? We cannot speak about the details yet because we are still in discussion about voices with KOEI TECMO and XPEC Entertainment. We will try to realize the originality of the original series as best as we can. Q: Mobile eSports is a growing trend, with competitions held worldwide for various games. Are there any thoughts on moving into the scene with Project Dynasty Warriors? We are preparing modes for eSports, but we think eSports is a content which is eventually made by the users. Modes for eSports are under discussion. Q: Gamers were mentioning some of their favorite generals were not seen in the trailer. Will new ones be added as game updates? We are in discussion about updates to add more Dynasty Warriors 8 generals, and even other generals which the community strongly wants to be added. Q: How many generals have been confirmed for the official launch? We are expecting 40 or more generals. Q: Are there any solid plans on what players can expect in terms of in-app purchases? Perhaps rolling new generals? In-app purchases are basically designed to reduce time for collecting and promoting generals. All generals can be collected through in-game play. Q: Nexon Korea is known to publish mobile games globally, with few regional restrictions. Will this be the same for Project Dynasty Warriors? Q: When is Nexon planning to launch Project Dynasty Warriors? Will there be a soft-launch phase as well? Project Dynasty Warriors is planned to be launched within the year (2016). 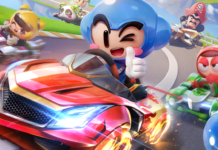 There are also plans for a soft-launch, so selected regions may be able to play a little sooner.